To protect against infection, plants have evolved multi-layered defense systems such as RNA silencing, salicylic acid (SA)-mediated resistance, resistance (R) protein-conferred resistance and defense priming. Antiviral defense systems seem to act in a coordinated manner in response to viral infection, but the underlying mechanisms are unknown except in a limited number of specific virus–plant combinations. 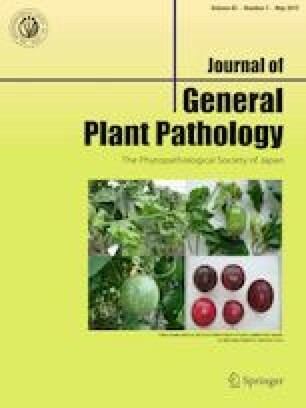 Cucumber mosaic virus (CMV) infection of Arabidopsis thaliana is a well-known sophisticated pathosystem often used to investigate antiviral defense reactions. On the basis of extensive studies on the interaction between CMV and A. thaliana, RNA silencing plays a key role in suppressing CMV infection in the host plant. However, several strains of CMV are able to overcome the RNA silencing system by producing an RNA silencing suppressor protein. If the virulent CMV strain is indeed able to overcome basal antiviral RNA silencing, host plants carrying the R gene exhibit a resistance response, generally accompanied by necrotic local lesions at the primary infection sites. RCY1, which encodes an NB-LRR class R protein, was isolated from A. thaliana and identified as the first R gene conferring resistance to CMV. SA-dependent and -independent signaling pathways also seem to be associated with CMV resistance, while in A. thaliana, resistance induced by a plant activator treatment is thought to activate defense priming against a broad range of pathogens. In this review, we summarize current knowledge on the multiple defense systems of A. thaliana against CMV infection. This work was partially supported by JSPS KAKENHI (Grant nos. 15K07307; 16H06185; 17K19257 and 26292022); by a Grant-in-Aid for Scientific Research on Innovative Areas from the Ministry of Education, Culture, Science, Sports, and Technology (MEXT) of Japan (Grant nos. 16H06429; 16K21723 and 16H06435); and by the JSPS Core-to-Core Program, A. Advanced Research Networks entitled “Establishment of international agricultural immunology research-core for a quantum improvement in food safety”.